1 bedroom/1 bath beachfront with Pool and Jacuzzi! 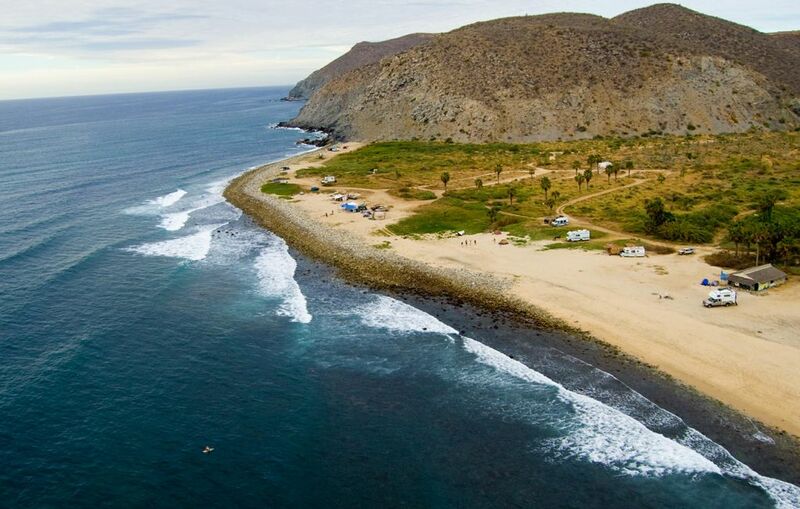 Our 1BR Ground Floor Casita at the beachfront Pescadero Palace sets on a pristine 3-mile white sand beach, and one of the best surf breaks in Baja California. It is steps to the pool patio where there is a heated swimming pool, infinity edge Jacuzzi, and a natural rock waterfall. Amenities include satellite TV, free wireless internet, full kitchen with all appliances and utensils, A/C, twice weekly maid service, washer and dryer, fenced wall around entire property with gated entrance, and a King size bed in the master bedroom. There is also a twin bed in the living area. It has an excellent location, 45 minutes North of Cabo San Lucas, and 5 minutes South of the charming town of Todos Santos. Stayed in Robert's little place, perfect spot. Walk to the beach, or the beach bar! Host was very welcoming and helpful, place was clean and comfy. You have a pool, but tub, stocked with beach and wave toys. Quiet and private. Clean, quite and cool. Everything you need in a home away from home. A stone's throw from the beach and all the comforts of home and more. Jacuzzi, swimming pool and all the amenities to go down to the beach including a surf board. Robert Quirk was a gracious host and even got me surfing again after 40 years off the board. Great property and super host! Overall it was killer, I wished I would have booked the unit upstairs, we were below and it was super hard to sleep in, the people above were super cool and considerate of us staying below, but it’s just cement, so it was loud!! Richard, thank you for the good review, I'm glad you had a good time! The upstairs people were a little loud and it's not the norm, but glad it was all quiet by 9pm. Place was perfect for our family. Robert is a great host, accomadations and amenities are great! In my ten years of VRBO'ing and Airbnb'ing, I've never met an owner as responsive as Robert. No matter how big or small your concern is, he's all over it! Had a lovely stay at his palace in Pescadero. He gave me lots of local tips on places to go and things to do, joined me for dinner one evening and even offered to take me for a spin in his ultralight plane. My only complaint is that the motor for the hot tub and pool waterfall was right outside my bedroom window and the thing is *loud*. Luckily, I'm can sleep through anything but sometimes during the day and/or evening, I found the drone of that motor really annoying. Internet in the apartment was also a bit wonky, but Robert's working on that. Thank you Mary Ann for the nice review. It was really a pleasure hosting you. I know how important the internet is to our guests, so I upgraded the system and now we have a super fast wi-fi with great coverage. We have replaced the motor for the pool with a quiet one. Thanks for bringing it to my attention.